Each of us has felt passionate about one thing or another -- something that drives us toward higher achievement, tests our mettle as human beings, and provides an arena for excellence. We have found our arena in Wildwater. And while any sport can pit athletes against one another and drive them toward greater excellence, Wildwater has the particular ability to require its athletes to tap energy sources, both physical and mental, to be as fast as they can be. Aside from the long, tippy hulls, this is the reason wildwater racers paddle the fastest boats on the river. Wildwater is at once one of the most physically demanding of paddlesports, because it requires its participants to be strong over the course of four to five miles of class three to four whitewater, yet it also requires strategic acuity to balance raw power and speed with execution and timing: zen-like cognition mixes with the burning in the furnace. The success of each race depends on the athlete's ability to parse the waves, holes and rocks of a natural riverbed while red-lining the body's internal motor. Some racers are driven by picturing rival competitors on the course with them neck-and-neck, while many others concentrate on their inner race and block everything out except the boiling, frothy corridor laid out before them. In the late 1990s wildwater introduced sprint or "rapid racing" formats to help boost spectator interest in the sport and help it be considered for future Olympic Games. 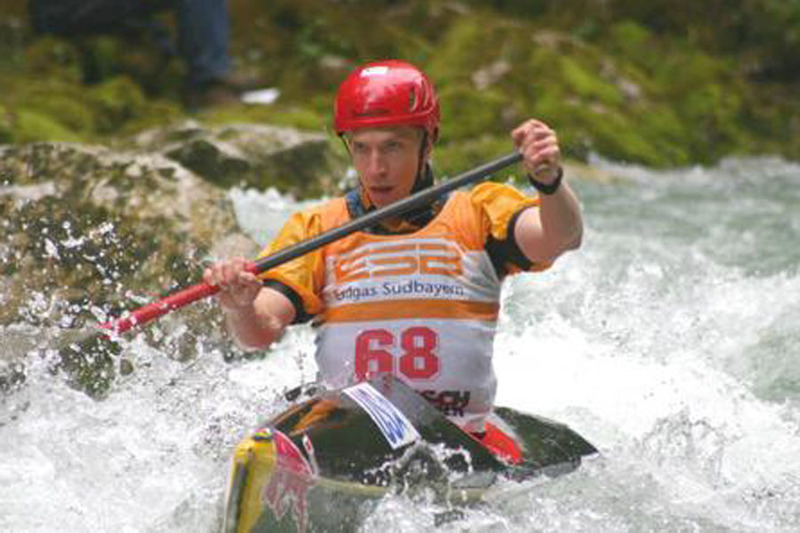 The Wildwater division of the International Canoe Federation (ICF) now includes sprints for three of the six races making up the World Cup each year. While inclusion in the Summer Olympics' roster has thus far eluded wildwater, the sport attracts large international participation to its acknowledged European epicenter. In the 2000 World Championships, for example, teams representing about forty different nations roughly doubled the population of Treignac, France, and reminded us that sport is an incredible impetus for diplomacy as well as athletic excellence. Today we welcome you to our sport, whether you are a seasoned elite athlete or a weekend downriver racer. We hope you will visit this site often, subscribe to our e-zine, and contact us to learn about participating in races in your corner of the United States. Remember, the will to win is only as great as your commitment to preparing and training. This site is designed to be a resource for training and technique information as much as a news center, and we hope that you will make free use of it as you set your goals and work toward excellence this spring. Thanks for browsing and we'll see you at the races! "Wildwater racing is pure whitewater paddling, often called the race of truth. "Some twenty minutes after leaving the start, the racer arrives at the finish line. In between is the river in its natural state and nothing else."